Although strollers and child carriers may look safe, two children are injured in these kid-movers every hour in the United States, a new study says. “While these products are used safely by families every day, when injuries do occur they can be quite serious,” study author Kristi Roberts, research associate in the Center for Injury Research and Policy at Nationwide Children’s Hospital, said in a hospital news release. Her team reviewed federal government data from 1990 to 2010. During that time, nearly 361,000 children aged 5 years and younger were treated in hospital ERs for injuries that occurred while in a stroller or carrier. That works out to an average of two an hour, the researchers said. “The majority of injuries we saw were head injuries, which is scary considering the fact that traumatic brain injuries (TBIs) and concussions in young children may have long term consequences on cognitive development,” Roberts said. The most common cause of injuries was falling. Falling accounted for 67 percent of stroller injuries and 63 percent of carrier injuries, the study found. Tipping over was another common cause of injuries. About 29 percent of carrier injuries and 16 percent of stroller injuries were the result of tipping over. The most commonly injured parts of the body were the head and face. Many of those injuries were soft tissue injuries, such as bumps and bruises, the study found. About one third of carrier injuries and one-quarter of stroller injuries were more serious, causing traumatic brain injuries or concussions, the study said. The researchers also found that stroller-related TBIs/concussions doubled during the study period, and carrier-related TBI/concussions tripled. Seven percent of children with a carrier-related injury and 2 percent of those with a stroller-related injury were hospitalized, meaning an average of one child a day was hospitalized with such injuries. TBIs/concussions accounted for two-thirds or more of those hospitalizations. “By taking a few simple steps -- like making sure your child is buckled up every time he is in his stroller or carrier -- and being aware of things that can cause these products to tip over, [you] can help prevent many of these injuries,” Roberts said. Dr. Robert Glatter is an emergency physician at Lenox Hill Hospital in New York City. He believes parental inattention often contributes to stroller injuries. “Never text or use your smartphone while pushing a stroller or using a infant carrier, as even a split second of distraction can lead to a misstep, trip or fall resulting in a traumatic brain injury, cervical spine or cord injury to your child -- and even yourself,” he said. Also, “Parents should never leave a stroller or carrier unattended,” Glatter said. “Avoid placing any weighted objects on the handlebars of the stroller or carrier since this may lead to a tip over with catastrophic consequence,” he added. 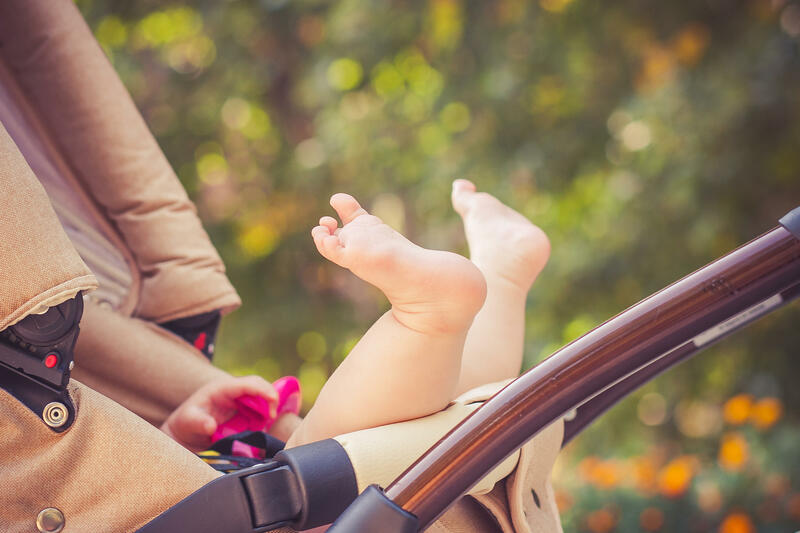 As well, “always make sure that your stroller or carrier is appropriate for your child’s age and weight, since a poor match can lead to collapse or a tip over,” Glatter said. The study was published online Aug. 17 in the journal Academic Pediatrics.